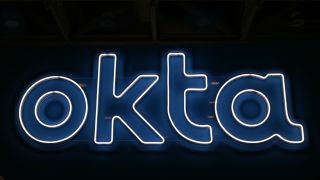 At this year's Oktane19 attended by ITProPortal, Okta announced new risk-based authentication that can deliver greater security, ease of use and automated detection and response to identity-based attacks by leveraging machine learning. Risk-based authentication benefits enterprises by providing them with panoramic insights into their employees, partners and customers while also providing a means for transparent security controls. Businesses can utilize Okta's risk-based authentication to automate security by implementing stronger authentication techniques and remediation when a scenario calls for it, while simultaneously enabling a seamless login experience for users. “Technologies are often built with security as a barrier to usability or as an afterthought, but organizations shouldn’t have to choose between providing workforces and customers with the best experience and ensuring their information is secure. Through machine learning, Okta can enforce robust authentication context at the user level by recognizing that no two users are alike when it comes to their preferred applications, devices and locations from which they access corporate resources. Individualized profiles are built and the company's machine learning model improves over time by developing a deeper understanding of how users engage with and access the technology they need in the workplace. Okta risk-based authentication is now available in beta and the company expects it to be widely available soon as part of Okta Adaptive Single Sign-On and Okta Adaptive Multi-factor Authentication.